Real Main Street Investors are NOT the members of a Coalition formed by the National Association of Manufacturers to buttress arguments made by the Business Roundtable and United States Chamber of Commerce. (see Main Street Investors: Battle Coming) In fact, real Main Street investors are an endangered species that may actually go away if the Coalition gets its way. The Coalition appears to be getting traction with SEC Chairman Clayton who mentioned “Main Street Investors” 28 times in testimony to the House Committee on Financial Services. Or, perhaps he is referencing the real main street investors, not the Coalition? The Coalition has budgeted millions of dollars on an information campaign based on paid for biased research. For example, one of their surveys found that 78% of ETF investors chose passive funds for stable, consistent returns, while only 11% select ETFs for how they influence worthy political or social causes. However, most of the 78% investing primarily for money also may want both: earn money and have a positive influence. The survey was designed to exclude measuring the popularity of such motivations. By that definition, real Main Street investors are an endangered species. Half of American’s have no investments in equities, not even mutual funds. The top 1% holds more wealth than the bottom 95%… before the recent roll back of inheritances taxes. “Everyday people” in America do not invest in corporations. For most everyday people, their homes are their primary investments. It is clear we need more real Main Street investors if we are to avoid plunging deeper into turmoil. One thing the Main Street Investors Coalition gets right is that real people have almost no ability to influence the decisions corporations make on their behalf. We do need to change that. However, we cannot accomplish that by suppressing shareholder proposals and proxy advisors. Instead, we need to emphasize how real Main Street Investors can invest with our values, instead of despite our values. Contrary to Coalition pronouncements, there is no such thing as value-free economics or investing. 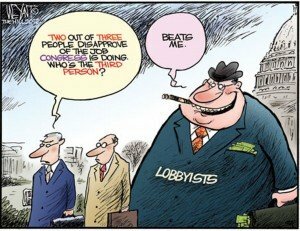 When we abrogate our moral responsibilities, we tilt the rules away from citizens to entrenched insiders. Although buying a mutual fund is investing, most mutual fund holders do not really identify with the companies mutual funds own. When I invest, I ask myself what the world needs and try to find public companies that fulfill that need. Investing is just the start of a long-term relationship. Real Main Street investors should hope to hold forever and to suggest ways our companies can improve, either through shareholder proposals or in other communications with the company. I recently read a wonderful little book, A Nation of Small Shareholders, about an NYSE campaign to get more Americans to feel like part of the capitalist system after WWII. It was a way to convince Americans that capitalism would offer them more benefits than communism. Since they felt like shareholders, they would also be more likely to favor lowering capital gains taxes. It was a nudge campaign before behavioral economics took hold. The NYSE knew what it wanted before they started and it was not fostering dialogue with real Main Street investors. Today, America needs a campaign to make all Americans shareholders. It should emphasize the shareholder’s voice in shaping corporate impacts, as well at potential profits. The SEC should educate real Main Street investors about resources available to them in meeting their voting responsibilities as shareholders. The New York City Comptroller recently joined a dozen other funds in announcing their votes in advance of annual meetings. Reviewing those disclosures is very helpful in making voting decisions. Proxy Insight compiles it all for a reasonable subscriber fee. We hope to get ProxyDemocracy back up and running as a free service. Meanwhile, you can always research them one-by-one through the Shareholder Action Handbook on CorpGov.net. If the overwhelming majority of investors simply want to earn the highest return possible, regardless of impact, we are doomed as a society unless the Universe was meant to bend toward greed. I am convinced most real Main Street investors want to live in a civilized society on a salubrious planet. Corporate Directors Forum 2012 – Part 4: Has the Power Needle Moved? 1. Rule 14a-11 requires companies, under certain circumstances, to include shareholder nominations for director in the company’s proxy materials. The Commission adopted this rule to ensure that, to the extent practicable, shareholders can use the federal proxy process to meaningfully exercise the rights they have under state law to nominate and elect directors at an in-person shareholders’ meeting. There is nothing inconsistent or arbitrary about the Commission’s decision to allow shareholders to submit proposals to expand the proxy access provided by the rule but to preclude companies and shareholders from opting out of Rule 14a-11 in favor of a more restrictive access regime. Allowing shareholders to expand the proxy access provided by Rule 14a-11 furthers the purpose of that rule: advancing the federal interest in shareholders’ being able to exercise their ownership rights through the proxy process as effectively as they might have by attending a shareholder meeting. Allowing companies or shareholders to diminish the minimum level of access provided by the rule, in contrast, undermines the rule’s purpose. 2. The Commission carefully considered the likely economic effects of Rule 14a-11 and reasonably concluded that the rule’s potential benefits— including improved board performance and enhanced shareholder value—justify its potential costs. By thoroughly analyzing the record evidence and making informed predictive judgments where appropriate, the Commission fully complied with its obligations under statute and this Court’s precedent to apprise itself of the potential economic consequences of its rules. The Commission did not evade its responsibility to assess the rule’s potential costs by ignoring them or “blaming” such costs on state law. Rather, the Commission correctly recognized that the potential for some costs identified by petitioners and other commenters would exist whenever a shareholder nominee is nominated or elected—irrespective of Rule 14a-11—and then went on to thoroughly consider all of those potential costs. In particular, the Commission carefully considered (although not using the precise language petitioners prefer) the concern that government and union pension funds may use Rule 14a-11 as leverage to obtain concessions from companies unrelated to shareholder value, and concluded that the potential benefits from increased responsiveness of boards to shareholders justified these potential costs. 3. Investment companies are generally subject to the federal proxy rules and were properly included in Rule 14a-11. The Commission carefully considered differences in the regulation and governance structure of investment companies and reasonably concluded that these differences did not justify depriving investment-company shareholders of the proxy access rights provided by the rule. 4. Rule 14a-11 does not violate the First Amendment because the rule governs only internal communications—neither requiring companies to disseminate or subsidize the speech of third parties nor speak to the public at large. In any event, strict scrutiny does not apply to disclosures under the securities laws, and Rule 14a-11 withstands scrutiny under any lower standard. Institutional investors and other proponents of improved governance should be prepared to respond in the media and elsewhere to such arguments. Perhaps the most simple and compelling response is that the new rules permit nothing which was not already permitted – i.e. a change in board composition through shareholder vote. That is, any investor has been and remains able to wage a proxy fight for board representation to seek to “ram through” (or pursue) their agenda. While the new rules are intended to and will obviously lead to more minority representation by reducing the cost of its pursuit, it was already contemplated by all pertinent law. Investors have also had and retain the right under 1934 Act Rule 14a-8 to include on proxy cards many proposals for action not involving director elections. Indeed, allowing proxy access to investors hardly guarantees them a board seat. They still must convince the holders of the requisite number of shares in the pertinent jurisdiction – none of which is being changed – to vote for their candidates. If simply allowing proxy access to minority holders of itself will greatly expedite their candidacies, what does this say about the level of shareholder satisfaction with management and its slates? Even if a board seat is obtained by an investor, it is just that; a seat, and not a majority capable of imposing its own agenda. Given that proxy access for large firms with market caps exceeding $33 billion will require ownership of more than $1 billion of stock for more than three years, one wonders why there is so much concern. We are not talking about miniscule, “gadfly” shareholders with no real economic interest, only pursuing a social agenda. What is more a part of capitalism than allowing a meaningful voice to large investors in a company? Apart from these somewhat mechanically-oriented, but still significant, arguments, lurks the ultimate consideration, namely the need for better governance, which can only be accomplished with real accountability for boards. When Jim McRitchie brought all of this to the fore 8-10 years ago through his writings and suggestions to the SEC, reasonable, knowledgeable people could argue about whether there was a general governance problem. In light of the numerous debacles over the last decade starting with Enron, few would want to take the negative side of this argument today. Many, including the author of this post, would argue about how to improve governance, but the “whether” part of the debate is a different story. 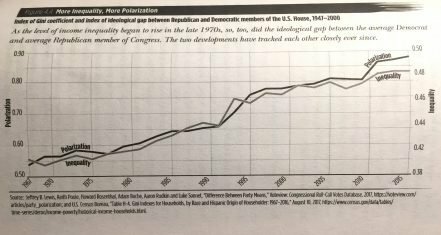 The status quo has not worked. In far too many cases, directors have been asleep at the proverbial switch while managements brought down companies and imposed huge costs on societies. One way or the other, there needs to be additional accountability for boards, and this initiative is quite modest, in that it does not change in any way the substantive standards to which directors are held. That is, the only accountability for even catastrophic decisions is removal from office – not financial liability. Commentators have lamented the modesty of this effort. When called upon to defend the new rules, all concerned should keep in mind and remind the public, what they do and don’t do relative to the status quo, as well as why this action has been taken now. Mutual Funds: Pass Through Voting? A recently published study by the Shareholder Association for Research and Education (SHARE) and Fund Votes found that while Canadian mutual funds were more likely to oppose management nominees for boards of directors in 2008, the majority of mutual funds continued to vote overwhelmingly in favor of management proposals, and against proxy items proposed by shareowners. further investigation by shareholder advocates. Maybe the best solution, if mutual funds find it too difficult to vote because of conflicts of interest, is for the funds to just pass through voting rights to beneficial owners. Computerized files could gather all the bits and beneficial owners could use a platform like Proxy Democracy to vote, largely imitating funds like CalSTRS, Florida SBA, Domini, Calvert and others who think voting is worth their while. Citigroup and Merrill Lynch lost more than $55 billion combined last year, adding to the massive wreckage on Wall Street that took the nation’s financial system to the brink of collapse. Yet they were among nine big banks that combined paid out more than $32 billion in bonuses — even as the banks took in $175 billion in taxpayer aid to weather the storm, according to an analysis that provides one of the most comprehensive looks ever at Wall Street pay. Satyam, Did it Wake Up Indian Boards? Satyam was a wakeup call for India to clean up its act. But did India Inc wake up? Experts and industry watchers remain divided in the aftermath. While there is a set of people who believe that Satyam definitely made promoters sit up and make alterations, there is an equally strong lobby that says nothing has changed in the real sense of the term. A study of the latest ET-50 annual reports suggests companies have made minor changes in bringing on independent directors. Since January 2009, 524 independent directors have quit boards out of 2355 companies that have submitted data to the director’s database on BSE website. However, many claim “there is a sheer paucity of good independent directors” and the few good and competent ones often have multiple assignments. Out of BSE100 companies, 66 independent directors hold five directorships and more, 40% have non-executive chairman, and only 14 have a woman on board. A study by Kee H. Chung of the State University of New York (SUNY) at Buffalo, John Elder of North Dakota State University and Jang-Chul Kim of Northern Kentucky University entitled Corporate Governance and Liquidity found that stocks of companies with better governance structure exhibit narrower quoted and effective spreads, higher market quality index, smaller price impact of trades, and lower probability of information-based trading. The estimated improvement in liquidity is economically significant, with an increase in our governance index from the 25th to 75th percentile decreasing quoted spreads on NASDAQ by about 4.5%. Results are robust to different estimation methods (including fixed effects and error component model regressions), across markets, and alternative measures of liquidity. In addition, they find that changes in our liquidity measures are significantly related to changes in governance scores over time. These results suggest that firms may alleviate information-based trading and improve stock market liquidity by adopting corporate governance standards that mitigate information asymmetries. MMA Praxis votes in advance of corporate meetings are now reported on ProxyDemocracy.org. Proxy “season” is at something of a lull right now but you can see how several funds are voting at Schering-Plough’s meeting on their planned merger with Merck & Co., Inc. In this case all funds reporting, AFSCME, Calvert Social Index, MMA Core Stock, MMA Growth Index, and Trillium all favor the merger. On the ProxyDemocracy site you can also see MMA Praxis Funds Activism Profile and voting guidelines. If you fund isn’t one of the 10 whose votes are reported through ProxyDemocracy, ask why. Choosing to announce votes in advance through ProxyDemocracy is simple, inexpensive and is a win-win all around. More than 90% of retail investors didn’t vote their e-proxies last year. For mail-in proxies, the numbers are only slightly better. Overwhelmingly, investors don’t vote and don’t know how to vote even when they do vote. The ten funds listed on ProxyDemocracy spend a lot of money analyzing proxy issues before they vote to ensure their actions will benefit shareowners and plan beneficiaries. By disclosing their proxy votes in advance of meetings, these funds are beginning to influence other investors, especially retail shareowners, who increasingly rely on copying the voting behavior of their favorite brand. If you invest in stocks or mutual funds, check out ProxyDemocracy. If you are intellectually curious about the theory behind brand voting and where this is headed, see Mark Latham’s publications: The Internet Will Drive Corporate Monitoring and Proxy Voting Brand Competition. Also check subscribe to his blog, where he will update activities of the SEC Investor Advisory Committee, of which he is a member. “Facilitating director nominations by long term shareholders who own at least one percent of the stock would greatly help maximize long term shareholder wealth… Past directors allowed the five best paid officers of publicly held companies to increase their take of profits from 4.8 percent, in the 1993 to 1995 period, to 10 percent from 2000 to 2003. If American capitalism is to thrive, current and future directors cannot allow top executives to take an ever larger piece of the owners’ pie. Otherwise, investors will move to greener pastures.” — Excerpt from comments by Frank Coleman (Cole) Inman, Corporate Governance Adviser and Former Business Professor. The US leads the developed world in the use of devices like ‘poison pills’ and other anti-shareholder mechanisms which have the effect of transferring wealth away from shareholders for the benefit of managers. While the scales will still be heavily weighted in managers’ favor after this change, this rule change will be a step in the right direction. Excerpt from comments by Peter C. Kelly, Director, Determine Services Pty Ltd, and Director, Determine Consulting Ltd., Wellington, New Zealand. While I love those comments, much more troublesome were those from James L. Holzman, Chair, Council of the Corporation Law Section, Delaware State Bar Association and Joseph A. Grundfest, William A. Franke Professor of Law and Business, Stanford Law School. Stockholders would lose their state law right to adopt a proxy access bylaw that prevents a stockholder or group from making a nomination for consecutive years if the stockholder’s or group’s previously sponsored nominee were not elected or did not receive a minimum number of votes. Rational stockholders may prefer limitations the Commission previously proposed to require between nominator and nominees, such as prohibiting the nominee from being a member of the immediate family, or an employee of, the nominating shareholder or group. Precluding proxy access where a “traditional” election contest is underway. Preventing Stockholders from Exercising Their State Law Rights to Adopt Alternative Governance Rules They Deem Appropriate, wherein they list a number of potential costs to corporations and indirectly to shareowners. Under Delaware law, stockholders and boards of directors have the right to decide that these potential costs of a mandatory proxy access procedure outweigh the potential benefits to that particular corporation. Delaware has a better dispute resolution, since no-action letters would likely be appealed to federal courts, which take a great deal more time to render decisions. The letter advises the SEC to withdraw Proposed Rule 14a-11, focus on what disclosures would be required in exercising proxy access and the liability for material representations, and relax the election exclusion in Rule 14a-8 to permit submission of bylaw amendments on proxy access. Grundfest’s arguments against the proposal are similar, simpler and carry a more compelling threat. If shareowers are “sufficiently intelligent and responsible to nominate and elect directors,” why would the SEC “prohibit the identical shareholder majority from establishing a proxy access regime, or from amending the Proposed Rules to establish more stringent access standards.” It certainly doesn’t replicate the annual meeting process where access could be relaxed or strengthened. The second contradiction relates to the Commission’s assertion that the Proposed Rules replicate the physical shareholder meeting as governed by state law. Nothing in state law sets a minimum proxy access standard, defines the contours of any access proposal to be considered by shareholders, or prohibits a majority of shareholders from amending an access standard to make it more stringent while allowing the same majority to relax the standard. The Proposed Rules thus fail to achieve the Commission’s stated objective, and instead erect barriers to shareholder action that exist nowhere in state law. The rule cites no support for the proposition that shareholders can be relied upon to nominate and vote on directors, but not to set the rules by which directors are nominated and elected. Absent a rational basis upon which to conclude that shareholders are selectively intelligent or responsible in a manner that supports discriminatory reliance on the majority’s mandate, the Mandatory Minimum Access Regime cannot withstand scrutiny under the APA. Pending legislation would resolve questions regarding the Commission’s statutory authority to adopt proxy access rules, but would not affect the Commission’s obligation to comply with the APA. Relax the rules governing communication among shareholders seeking to organize precatory “just vote no” campaigns. Impose additional disclosure and communication requirements on registrants with directors who have a majority of votes withheld, regardless of whether the corporation has a majority vote policy. Impose additional disclosure and communication requirements on registrants who fail to satisfy specified majority voting standards. While I personally would like to see an access proposal move forward to be in place for next year’s proxy season, I do have to admit, Grundfest makes what appear to be good points. However, if we only end up getting disclosure requirements, liability provisions, and a relaxed Rule 14a-8, expect to see thousands of shareowner access proposals in coming years. Many won’t settle for the shareowner group thresholds currently proposed by the SEC. My aim will be much lower, especially at smaller companies where corporate governance practices tend to be worse and institutional investors are scarce. Find the latest comments to the SEC on proxy access here. If you are a California state employee at the SSMII level or on a list, CalSTRS has an interesting job opening in their Communications Division working on media relations, marketing publications and project management. Final filing date is 08/04/2009. Lucien Bebchuk, Professor Harvard Law School (bio). Bob writes, Bebchuk is a home run; first he is a world class economist; second he is probably the outstanding legal corporate governance scholar; third he is the moving energy behind the Harvard Law School Governance Blog – a major information source in the governance world; and, fourth – a personal opinion – he is free from the kinds of ambition that poison much scholarship, he is honestly committed to his own sense of the truth. Don’t have enough in your in-box? Subscribe to Receive Free E-mail Updates from the SEC. So much to choose from. Thanks to Broc Romanek for the heads up. Capitalism will be back. And the same message will return, though there may be someone new selling that message: You don’t need to change. Keep consuming all you want. There’s plenty more. Drill, baby, drill. Maybe there will be some technological fix that will make all our problems disappear. It used to be that nations could go to war for years and come out none too worse for the effort. Today, weapons of mass destruction make all out war between major powers almost unthinkable. The cost to either party would be too great. Proxy battles are also unnecessarily expensive. Too often they occur only after a company has suffered years of decline. The market is often too slow to respond to entrenched managers and boards. Proxy access, majority vote and other tools give shareowners the power to shift boards, without the cost of a bloody war or revolution. Bainbridge wants shareowners to wait until “performance is sufficiently degraded” to “make a takeover fight worth waging.” His model is basically pre-democracy. Wouldn’t it be much more efficient to elect a better board than to wage a takeover fight? Bainbridge relies on a study done in 1998 by Bernard Black that surveyed previous studies to demonstrate that shareowner activism doesn’t add value. Of course, Black was arguing shareowners invested too little effort to make much of a difference. That has been changing, although more effort would yield more results. Bainbridge himself argues that SEC rules “have long impeded communication and collective action” by shareowners. That’s a reason for speeding up corporate governance reforms, not slowing them down. Because the cost of monitoring is high in relation to benefits to any one monitoring shareowner, Bainbridge says “institutional activism is likely to focus on crisis management.” Yet, what we actually see is a focus on “best practices,” especially those that guard against management and board entrenchment. Majority voting, annual elections for all board members, proxy access, a ban on broker voting, separating chair and CEO positions, granting shareowners the right to call a special meeting, even additional disclosures — all make it easier to take collective action when needed. That action is likely to be led by hedge funds, which are more likely to have a large enough percentage of their funds invested on a single firm to make monitoring and action cost-effective. The bulk of Bainbridge’s recent argument is that shareowner activism just shifts responsibility. Quoting Kenneth Arrow: “If every decision of A is to be reviewed by B, then all we have really is a shift in the locus of authority from A to B.” Bainbridge says, “institutional investor activism does not solve the principal-agent problem but rather relocates it.” However, that characterization fails to acknowledge that when the shareowner makes the decision, there is no “agent.” When shareowners bypass the board and place their own nominees on the proxy, they are acting as principals with no agent. He fails to recognize the Business Roundtable and entrenched boards represents the real powerful and narrow “special interests” that too frequently lead to abuse. They can often accomplish their “special agendas” without convincing a majority of shareowners. Shareowner activist face much higher barriers and can accomplish little without consensus building among very disbursed investors. Turning board elections into real contests won’t adversely influence the decision-making of directors. Knowing they can actually turned out of office will simply make them more accountable to shareowners. It will remind them that directors work at the pleasure of shareowners and CEOs work at the pleasure of directors. Although most CorpGov.net readers can’t vote in upcoming September CalPERS Board elections, most of you know how important CalPERS has been in the movement to increase corporate accountability to shareowners. With that in mind, I’ve included a link to a PERSWatch survey of the candidates. Download a pdf that includes their responses to ten critical questions, as well as contact information. Three candidates failed to submit responses, even after repeated contacts. Among those who did respond, one candidate made repeated spelling and grammar errors while another didn’t adhere to the 200 word limit in responding to several questions. I personally know all the responding candidates and know each will take their duties seriously. I think the errors reflect their opinion of the limited importance of the survey as a tool in winning the upcoming election, rather than behavior we will see in their role as board members. Traditionally, candidates could essentially lock up the election by obtaining the endorsement of a few major employee unions or associations. While I firmly believe such organizations are, and should remain, critical to the selection of Board members, I also believe we would all benefit from a broader dialogue. I sincerely hope these elections will one day be given the press coverage they deserve, considering their importance in shaping international corporate governance and the wider economy, as well as the more direct health and pension benefits of CalPERS members. The SEC’s Investor Advisory Committee (IAC) held its first meeting on July 27, 2009. They had an ambitious agenda, which they didn’t get through. Some items, like proxy voting were discussed in some detail. Others, like arbitration issues, elicited virtual silence from IAC members. For the sake of those interested in issues that got passed over, I hope there will be opportunities to raise them again over the course of the next two years. Overall, I thought the IAC made good progress. They got to know each other a bit, discussed their interests and possible subcommittees. Not bad, for a relatively brief first meeting. Interesting that some members, when introducing themselves said they represented the company or organization for whom they work. I hope this isn’t the case. I hope they are appointed to reflect a variety of backgrounds but that they are all there to represent the investing public. Jump$tart Coalition for Personal Financial Literacy, a non-profit 501c3, encourages curriculum enrichment to ensure that basic personal financial management skills are attained during the K-12 educational experience. U.S. Financial Literacy and Education Commission, My Money, to coordinate the presentation of educational materials from across the spectrum of federal agencies that deal with financial issues and markets. Some of the many issues and solutions raised during the meeting: majority voting requirements for director elections should be standard; proxy votes of all institutional investors should be disclosed, along with engagement strategies; review of proxy advisory services; OBO/NOBO issues; more timely reporting of proxy votes; blank votes; systems like Proxy Democracy, TransparentDemocracy.org, and soon MoxyVote.com that help shareowners to learn from proxy voting decisions announced by institutional investors; pilot funding for system that allows users to allocate funding to education providers; need for more guidance on Reg FD and prohibitions on investors acting in concert; split chair/CEO should be standard; and clarification needed of Staff Legal Bulletin No. 14C regarding resolutions on disclosure. Possible subcommittees discussed for the IAC include: fiduciary duty, disclosure, education, use of technology, ESG disclosure, corporate governance. It is my understanding the two co-chairs will vet these further with members and come back with a list. If there was any real bombshell at the meeting, it was an attempt by Stephen Davis to make a motion that the IAC recommend the Commission adopt a rule requiring all exchange listed companies require majority voting for the election of directors. There appeared to be a consensus belief among IAC members in the value of majority vote requirements, so Davis appears to have been attempting to move the agenda with what he termed a “shovel ready” proposal. However, it soon became apparent that although other IAC members may believe in majority voting, they want more discussion around mechanics, to tie the issue to part of a larger package, or delay for some other reason. No vote was taken but expect this issue to be one of the first of many out of what appears to be a relatively dynamic committee. The SEC may actually be going back to its roots as the “investor’s advocate.” (Speech By SEC Commissioner Luis A. Aguilar: Restoring Investors’ Voices — The Launch Of Investor Advisory Committee, mondovisione, 7/27/09) (archive of meeting) SEC officialnotes of the meeting. Should Proxy Voting at Mutual Funds be Reformed? The other coauthor, Jackie Cook, did another study in late 2008 (Mini Survey of Mutual Funds’ Votes: 2004-2008). One of her findings was that, “Mainstream mutual fund groups’ increased use of abstentions on both governance and CSR resolutions is puzzling, given the increased attention to the issues covered in the media and by the investment community and deserves further investigation by shareholder advocates. The SEC proposes to require registered investment advisers and hedge funds to undergo an annual surprise examination by an independent public accountant to verify client funds and securities. The proposed rule also provides a number of other provisions designed to guard against future fraud, like that of Madoff’s Ponzi scheme. The Commission voted 5-0 in favor, so they didn’t think the rules would be controversial. However, the SEC is now being barraged with protests from advisers and funds, chiefly complaining that the audits would be disruptive and costly. As a former auditor, I think disruptions would be minimal and well worth the added security. Components on Custody of Funds or Securities of Clients by Investment Advisers File No. : S7-09-09 are due July 28, 2009. I read through all the comment form letters and many of the others. All were from advisors or funds, none from shareowners. All opposed the audit portion of the rulemaking. Right now, I’m leaning in favor. As an auditor, I always got a lot more out of my own spot checks than I did through hot tips. On the other hand, I had a lot of computerized data to sort through, which allowed me to find various statistical abnormalities. I didn’t audit everyone, only those that looked statistically strange. What do readers think? Exclusive Interview with the Chair of the New Pecora Commission (The American Prospect, 7/17/09) Former California Treasurer Phil Angelides outlines what he hopes to accomplish and his concerns that the commision may be rendered ineffective by partisan quarrels. He discussed other historical investigations: the Pecora Commission after the 1929 crash; the 9/11 Commission, highlighting the failures that made America vulnerable to a terrorist attack; the Kerner Commission in the 1960s, important moment in delineating the racial divide in this country. The best guidepost for the commission is to seek the truth, like that all old dragnet line, ‘just the facts.’ And the facts will speak for themselves. If facts are on the table, what happened, not speculation, not political tilt, if facts are on the table about what has occurred, people will come to reasonable and rational judgments. Ratings agencies need to do a better job at ensuring each variable that goes into their scores actually predicts future performance. It all comes down to what you measure and how you measure it… It’s not likely that you’ll find one type of board fits all types of companies. The investors (or insurance companies or banks) which “crack the code” to effectively track effective and ineffective governance factors that strongly predict performance will have an enormous advantage in modeling an element of risk that most investors disregard — even after the last 18 months. That smells like a great opportunity to me. ICCI president asks family-owned firms to adopt corporate governance (TradingMarkets, 7/21/09) Only 15 percent family owned businesses survive till the third generation due to lack of good governance, rise of disputes and other factors, said Mian Shaukat Masud, President, Islamabad Chamber of Commerce & Industry (ICCI). In a statement issued here on Sunday, he said, however, creating and applying a system of corporate governance, succession planning, transparency and control is crucial for long-term survival of family owned businesses. S’pore tops governance (The Straits Times, 7/21/09) Sinapore companies ranked first for corporate governance in Asia, excluding Japan, helped by their management, track record and ‘shareholder-oriented principles.’ Singapore obtained an average score of 5.1 out of 10 on a scale devised by GovernanceMetrics International. Thailand and India were second and third in the region, with scores of 4.7 and 4.5 respectively. First we look at the values, morals and ethics of society in general. Then we look at corporate charter, bylaws, formal policy, internal controls, which guide corporate behavior. Then we look at the laws. Finally, we look at the conscience. Kapoor goes on to discuss several recent scandals. UNEP Hones Legal Argument for ESG Incorporation in Investments in New Study (SocialFunds, 7/22/09) Whether asset managers have a fiduciary, and even legal, responsibility to incorporate environmental, social, and governance (ESG) issues into the investment decisions they make on behalf of their clients has long been a matter of debate. Fiduciary Responsibility: Legal and Practical Aspects of Integrating Environmental, Social and Governance Issue into Institutional Investment (Fiduciary II), the report argues that consultants may well have a legal duty to proactively raise ESG issues with their clients. The report also recommends that ESG issues be embedded into legal contracts between asset owners and asset managers. The measures are designed to prevent an adviser from making political contributions or hidden payments to influence their selection by government officials at public pension plans, retirement plans in which teachers and other government employees can invest, and 529 plans that allow families to invest money for college. There is a de minimis provision that permits an executive or employee to make contributions of up to $250 per election per candidate if the contributor is entitled to vote for the candidate. (SEC Proposes Measures to Curtail “Pay to Play” Practices, 7/22/09) At first glance, the provisions look stricter than those adopted by CalSTRS in 2007. Apparently, directors were initially the most active members on the platform, representing themselves as individuals, rather than representatives of their companies. Institutional investors soon requested a subgroup on the proxy voting process. shortage of qualified independent directors. I’m posting this as much for my own future reference as anything, since I used Internet based petitions in the past to drum up support for shareowner reforms, such as proxy access. How to: Start a Petition on Twitter reviews several sites that facilitate the process. Eight major audit firms have been named in nearly a dozen securities class action suits related to the Bernie Madoff scandal. Six have been named in cases related to the credit crisis, and those cases likely are just the beginning, says Mark Cheffers, CEO of Audit Analytics. After Andersen and Enron, how can we still believe appointment of an auditor is “routine.” Maybe it is time shareowners had a “say on auditors.” Better yet, let them make the actual pick from a qualified group. The Green Century Balanced Fund is the first U.S.-based mutual fund to disclose its own carbon footprint. Based on measuring the tons of carbon emissions per million dollars of revenue of the companies held by the Balanced Fund and those of the companies included in the S&P 500® Index, Trucost found the carbon intensity of the Balanced Fund is two-thirds less than that of the S&P 500® Index. The majority of the Green Century Balanced Fund’s low carbon intensity is attributable to the Fund’s underweighting or avoidance of the utilities, oil and gas, and basic resources sectors. Being free of fossil-fuel production or manufacturing companies contributed to the relative positive environmental impact of the Fund. The carbon footprint of the Green Century Balanced Fund (126 tons of carbon per million dollars of revenue of each of the Fund’s portfolio holdings) is almost half the average footprint of 16 other sustainability and socially responsible investing funds (226 tons of carbon per million dollar of revenue of each of those funds’ portfolio holdings) analyzed by Trucost. Let’s hope that others soon follow their lead. A recent Gradient Analytics report found that many of these contracts, which protect executives from declines in their company share holdings, are often are struck not long before “unusual levels of negative corporate events” resulting in price declines. In November 2006, Chief Executive Charles Raymond entered forward contracts in which he committed shares at a price of about $27, according to regulatory filings. In exchange, he was given $5.3 million. By the time the contracts matured in early 2009, the stock had fallen to below $5 a share. Some companies, such as Pitney Bowes Inc., have banned the arrangements. Investing in Corporate Governance: Forward Sales, from The Corporate Library offers advice for shareholders who wish to identify companies that prohibit forward sale contracts and lists the names of several companies that allow them and those that have banned them. I’ve discussed the newly appointed SEC Investor Advisory Committee previously. The Committee will hold its first meeting on Monday (7/27/09). They’re inviting input. Comments were due 7/19/09 but the work of the Committee certainly won’t be completed at this first meeting. Therefore, I’m hoping they will review all comments… even those that are late. Of course, I’d like to get the issue of “blank votes” on their agenda. Get a real representative of individual investors on the Committee. Get rid of mandatory arbitration for stockbrokers and brokerage firms and, more broadly, protect the legal rights of defrauded shareowners. Better definitions and disclosure re mutual funds, financial advisors, and brokerages. Better disclosure of executive pay. Expand SEC’s role in education. Strengthen regulation of the markets. Increase the accountability of boards and corporate executives. Improve financial transparency, including disclosure of climate change-related risks and material environmental, social and governance risks in securities filings. Reexamination of XBRL requirements to ensure user friendly. Extend proxy vote disclosure requirements to include all institutional investors. Product neutral disclosure requirements to consumers. Better disclosures for municipal securities, credit rating agencies, and target retirement funds. Written statements can be submitted using the Commission’s Internet submission form or by send an e-mail message to [email protected]. Include File Number 265-25 on the subject line. Support increased intelligent proxy voting by individual investors by encouraging development of information infrastructures that will help individuals vote by providing them with better information on the specific issues. The best efforts I’ve seen in this area are those by ProxyDemocracy.org, TransparentDemocracy.org, and Moxyvote.com. Develop educational programs that would be posted on the SEC Internet site and would be widely distributed through brokers, investor associations, and retirement plan vehicles (such as 401(k) plans), that explain the importance of proxy voting, how it relates to corporate governance, and how proxy voting provides an opportunity to influence both the earning power and social/environmental values of companies. Require better disclosure of proxy votes and policies by all institutional investors in a uniform format for posting to the Internet. Encourage disclosure of votes, including the reasons for each specific vote, prior to annual meetings. Retail shareowners and beneficial owners should be able to see how institutional investors are voting and why. In voting their own proxies, they should be able to copy from a combination of trusted “brands.” In monitoring institutional investors who vote on their behalf, they should be provided ample opportunity to influence those votes. Review the integrity of the proxy voting process to ensure it truly reflects the wishes of the electorate. Get rid of “blank vote” mechanisms (see rulemaking petition File 4-583), share lending that may extend to votes, etc. Consider a self-regulated “proxy exchange” that would hold all proxies and would ensure proxies are cleared and counted properly, without interference by corporations. Corporations and shareowners should have the same access to proxy votes and counts. Encourage funds to pass through votes to beneficial owners. This is especially critical at Employee Stock Ownership Plans (ESOPs) to ensure they are not used as management entrenchment devices. Given that mutual funds are increasingly voting abstentions, they may embrace this option if it is specifically sanctioned by the SEC. Alternatively, examine how funds are structured to obtain input from beneficial owners in corporate governance issues. End the ability of stockbrokers and brokerage firms to require mandatory arbitration.Support proxy voting by individual investors by encouraging development of information infrastructures that will help individuals vote intelligently. I congratulate Mark Latham, one of the Advisory Committee members assigned to represent individual investors, who is already posting the Committee’s agenda and his own thoughts about where it should be headed. Although it looks like a lot of work, I hope he will continue to keep investors informed of the Advisory Committee’s happenings and progress. I’m a little concerned that he will get so much feedback that he won’t be able to read it all. However, at least initially, the apathy of individual investors may turn out to be underwhelming. I’ve created a permanent link to Latham’s VoterMedia Finance Blog on my Links page under Government/Securities and Exchange Commission/Investor Advisory Committee/VoterMedia Finance Blog. If I learn of other Committee members posting blogs, I’ll post links to them as well. I certainly hope they follow his example in reaching out to the investing public. Standardized sustainability disclosures: First, we are asking the SEC to mandate that companies report annually on a comprehensive set of sustainability indicators comprised of both universally applicable and industry-specific components. To ensure consistent reporting, we would like issuers, after an appropriate implementation period, to adhere to the highest reporting level of the current version of the Global Reporting Initiative (GRI) guidelines. Materiality guidance and risk disclosures: In addition, we ask the SEC to issue interpretative guidance to clarify that issuers are required to disclose short- and long-term sustainability risks in the Management Discussion and Analysis section of the 10-K (MD&A). This would give companies guidance on reporting in general and particularly on emerging issues that GRI might not directly address. It would also require companies to highlight their most pressing sustainability challenges and opportunities for investors. SIF is also one of the sponsors SRI in the Rockies. Learn more about the 20th Anniversary 2009 Conference to be held October 25–28, 2009 at the JW Marriott Starr Pass Resort & Spa in Tucson, Arizona. Apparently, most don’t see the point, since retail shareowners are the ones who typically show up on these forums and they don’t vote. Therefore, at this point such forums appear destined to serve only small companies with few institutional investors. The first group would be advisers who are held to the highest fiduciary standards such as those of a trustee, not merely the SEC fiduciary standard of “best interests,” but one in which the adviser solely represents the interests of the client as discussed above. Positive client consent would be required (absent statutory authority) for all self-dealing. The second camp would be brokers who sell products, clearly disclosing to the consumer that they aren’t fiduciaries and don’t represent solely client interests, and that they get paid based on commissions from products or securities sold. This is somewhat equivalent to insurance agents who represent their firms, make commissions and don’t have a fiduciary obligation to customers. Since its debut, I’ve posted several times about the new social networking site, ShareOwners.org. Given my near complete devotion to corporate governance and some would say nonexistant personal life, I’ll rarely be checking Facebook, Linkedin, etc. with this option. The conversation is just so much more interesting. Also see the site as a vehicle for shareowners to talk with boards, as well as their financial intermediaries and financial professionals— brokers and mutual funds, to ensure they put the interests of the clients first. Advocating for ownership rights and educating shareowners and beneficial owners. He ends the interview with a plea for board members to use the site as a way of reaching out directly to their shareowners. OK progressive board members, here’s your chance to be on the vanguard. Register on shareowners.org and start a conversation about your company and how it might be improved. Listen to a great interview of Ferlauto by Broc Romanek of CorporateCounsel.net. (Inside Track with Broc: Rich Ferlauto on Launch of Shareowners.org (7/16/09)) Another reason to subscribe toCorporateCounsel.net. Good on history and where the site is headed. On June 11th Greenberg, on behalf of the Committee of Concerned Shareholders, was among the first to submit extensive comments in this round. He argues mutual funds are too conflicted to run dissident director candidates, whereas large pension funds already have the resources but have stayed on the sidelines. The SEC’s proposed percentage ownership requirement are “arbitrary,” without legal basis or precedent. The thresholds will be nearly impossible to meet except “in extremely rare circumstances”… like when a company is in near bankruptcy (my interpretation). Don’t limit the number of shareowner nominees to 25% and stick with the time-tested threshold of $2,000. Where this would result in more than two candidates per seat, borrow the “lead plaintiff” concept from the Private Securities Litigation Act of 1995 and include a “lead nominator” provision, something we suggested in amendments to our original submission. With a ‘lead nominator’ provision, there is absolutely no need for a percentage stock ownership threshold. The ‘lead nominator’ solution would allow Individual Shareholders to act as watchdogs of their investments at 9,000+ corporations that have publicly traded securities. Institutional Investors do not have the interest, desire and/or resources to seek Director accountability on such a scale. I would love to see the SEC move in this direction. As far as I’m concerned, let’s have contests at every company. Retail investors might then begin to think of themselves as shareOwners, not betting slip holders. They might even begin to vote! No government agency can match the vigilance of millions of shareowners. We have the incentive; just give us the tools. In most cases, the only extra expenditure for companies would be for slightly expanding the proxy. Mildly dissatisfied shareowners, aren’t likely to be swayed by the arguments of dissidents… unless they are spot on. If they aren’t spot on, the company will just call them nuts and won’t bother with a campaign. The long-term result would be that many more shareowners like Les Greenberg at Lubys and Eric Jackson at Yahoo would emerge with thoughtful analysis that could benefit all shareowners. Maybe organizations like the American Association of Individual Investors would then focus just a little on how to add value as owners, instead of exclusively on how to pick and trade stocks. Phillip Goldstein, representing Opportunity Partners L.P., goes even further in raising fundamental issues in his July 16th comments. Consider two stockholders who are substantially identical in every respect except (1) Stockholder A did not acquire his shares for the purpose of changing or influencing the control of the issuer but has now become convinced that change is needed in the boardroom while (2) Stockholder B, who was arguably more prescient, bought her shares with the intention of eventually proposing just such a change. Of course, both have a legal right at the meeting to nominate directors but almost all votes are cast through proxies. While page 9 of the rulemaking says “The proxy rules seek to improve the corporate proxy process so that it functions, as nearly as possible, as a replacement for an actual in-person meeting of shareholders,” but the proposed rules disenfranchise Stockholder B, presumably the brighter of the two. Goldstein’s proposal is straightforward and within the SEC’s current legal authority, whereas the SEC’s proposal may be neither. The Commission should have banned “one party” proxy cards years ago. It is obvious that such a proxy card frustrates the free exercise of voting rights because it results in the “election” of directors who might not have otherwise been elected if a proxy card with all bona fide nominees was provided to shareholders. Every labor organization refrain from discrimination in favor of or against any candidate with respect to the use of lists of members, and whenever such labor organizations or its officers authorize the distribution by mail or otherwise to members of campaign literature on behalf of any candidate or of the labor organization itself with reference to such election, similar distribution at the request of any other bona fide candidate shall be made by such labor organization and its officers, with equal treatment as to the expense of such distribution. A rule requiring every proxy card to include all known bona fide nominees as well as rules modeled after Section 481 of The Labor-Management Reporting and Disclosure Act of 1959would ensure “the free exercise of the voting rights of stockholders” and would almost certainly be upheld by a court as a valid exercise of the Commission’s rulemaking authority. Both Greenberg and Goldstein get to the real issues. I’m afraid too many will be distracted by the hundreds of questions raised by the SEC, the labyrinth of language only an SEC attorney could love, and the need to arrive at a consensus document that all with a vested interest in the status quo can at least live with. To the extent that the agency wants to reduce the use of Proposed Rule 14a-11 for any attempted change in control, it would be enough to provide that nominees may only be submitted by those shareholders who meet the ownership requirements and who are not otherwise engaged in a proxy contest (or in league with anyone who was) under Rule 14a-11. In that way, the issue wouldn’t turn on control but on the number of directors nominated in any given election. Brown also goes into an interesting analysis of the SEC’s attempt to address exclusion of shareowner nominees through board adopted qualification requirements. To the extent that a company uses qualifications to exclude a nominee from the proxy statement, it will be in violation of the proxy rules and risk a federal law suit. If the nominee is allowed, the company may nonetheless refuse to seat anyone elected if they violated the board imposed qualification requirements. This in turn may precipitate a law suit in state court over the validity of the qualification requirement. In another post, Brown criticizes the rush to the courthouse approach, endorsing instead the SEC’s 2003 proposal in this area giving priority to nominees from the largest shareholders. He also express concerns about the proposed threshold, especially with respect to smaller companies. While the release notes that many companies below $75 million have 5% shareholders, it is also likely the case that these companies more often have controlling shareholders. Thus, the 5% shareholders may already have control of the board. In those circumstances, there may be even greater need to enable minority shareholders to elect their own nominees. This may require a lowering of the percentage. All company recommended directors were elected. Shareowner proposal 1 by AFSCME won a very respectable 35%. My proposal, #2, won 69%, so we now hope each shareowner voting requirement in our charter and bylaws that calls for a greater than simple majority vote will be changed to a majority of the votes cast for and against related proposals. This includes each 67% shareholder provision in our charter and/or bylaws. Thanks to John Chevedden for all his work on the proposal with me and to Scott Adams of AFSCME for presenting it at the meeting. Institutional Investor Complicity with Bad PE Governance Practices for IPOs? Posted by Andrew Shapiro (Lawndale) on July 15, 2009 at 3:38pm to ShareOwners.org: The recent June 10, 2009 Corporate Library and IRRC Institute study entitled What Is the Impact of Private Equity Buyout Fund Ownership on IPO Companies’ Corporate Governance? examined whether private equity buyout firms institute more shareholder-friendly corporate governance structures in their IPO companies than non PE-backed IPO companies. Corpgov.net: Andrew, your point is excellent. CalPERS, CalSTRS, Florida SBA and others who have shown leadership should take the lead on this issue and should limit their investments to private equity firms with a good governance policies. Are other CII members also members of ShareOwners.org? If so, I don’t see them. Shapiro: I believe most if not all CII member funds (eg. CalPERS, CalSTRS) presently participate in PE funds that bring out unshareowner friendly IPO as their investment groups don’t extend public investment policies into PE area to limit their investments to private equity firms adhering to a good governance policy. These funds may argue (though I think it a bunk argument) that best mgmt is only attracted to start-ups that provide job security and entrenchment protections. Yet before the company is even brought public these managers don’t have such protections from the controlling private equity principals. So why do these mechanisms suddenly become needed in their new to go public form? Just a flavor of the kind of dialogue you’ll find at ShareOwners.org. As I reported earlier, 80.6% of polled delegates at The International Corporate Governance Network conference in Sydney agreed that investors encouraged the risky behavior that led to the the global financial crisis. (Forum finds investors responsible for GFC, InvestorDaily, 7/15/09) Now it looks like they’re complicit with poor IPO practices by PE funds. Let’s help them fix it. What drives corporate governance? Good practices by investors. Jonathan Drance and Edward Waitzer compare and contrast private-equity and public boards and conclude we should Make directors work. (National Post, 7/16/09) I’ve seen the comparisons before; it’s the conclusion that is novel. In private equity, CEOs are clearly subordinate to their board. This contrasts with many public companies where, absent a crisis, directors often effectively view themselves as virtual employees of the CEO. Private-equity boards tend to be smaller and comprised of individuals with or representing substantial ownership stakes — many of whom would not be considered “independent” under the regulatory frameworks governing public company boards. The primary focus for board selection tends to be effectiveness. The issue, when it comes to independence, is on a director’s ability to bring informed and objective judgement to their role. Conflicts of interest tend to be faced and managed (rather than pretending they can be avoided). Private-equity directors devote more time, and receive better information and more (and longer-term equity-based) compensation. Social customs tend to differ as well, with discussions at the board level and between directors and management being more forthright and focused. When I first ran for the CalPERS Board in 1986 it was a part-time job. The Government Code limited CalPERS to reimbursing the employers of directors elected by state, school or public agencies to 25% their salary. The implication was, they were expected to spend no more than 25% of their yearly time on CalPERS related matters. Over the years, CalPERS adopted various internal policies, which I believed were in conflict with that limitation. I understood directors couldn’t do the job working only 25% time. However, I felt CalPERS should be clearly in compliance with the law. My advice was, “Admit the job is bigger than it once was. Go to the Legislature to get the law changed.” To urge them down that path, in December 2000 I filed apetition with the Office of Administrative Law, arguing their policies constituted underground regulations. Language operative in 2003 removed that restriction from Section 20092 of the Government Code. 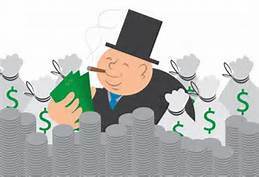 Isn’t it time shareowners, CEOs and corporate boards admit, if we really want directors of public companies do their jobs they need to be reimbursed for more than 20 days a year? If serving on the CalPERS Board is practically a full-time job, why isn’t that the case for the directors serving on the board of GM or Exxon Mobil? For years, CalPERS was in denial. Then they finally woke up and got clear legal authority to allow directors to devote far more than 25% of their time to their work. CalPERS had to go to the Legislature, so they were reluctant. What’s the excuse for public corporations? Chris Mallin, Professor of Corporate Governance and Finance & Director of the Centre for Corporate Governance Research at the University of Birmingham, argues that “companies do not always take as much notice of the votes cast as one would like,” citing a largely ignored vote at Marks and Spencer. She points out that withhelds in the UK are not counted as votes cast and may facilitate sitting on the fence, whereas in the US such votes have meaning where majority vote requirements are in place. Georgeson offers excellent advice regarding “the increased risk for a failed director election in the wake of the elimination of the broker discretionary vote, particularly in the circumstance of a company with majority voting or a director resignation policy in place.” Everyone involved in director nominations or proxy voting, especially re directors, should read the post. vote proportionally with the firm’s other clients’ instructed votes on the same issue. We’ve made too much progress building intelligent vote gathering systems since then. Brokers shouldn’t expect these limited options either. Contact me if interested. If you are a shareowner, don’t sign anything your broker offers you with regard to “client directed voting.” We already have Proxy Democracy andTransparentDemocracy.org. Both systems are improving and much more is on the way to help you vote easily. The Sustainable Endowments Institute (SEI), a special project of Rockefeller Philanthropy Advisors, seeks highly motivated and reliable individuals for part-time fellowship opportunities this fall. The work will build on the success of the last three College Sustainability Report Cards, which have been viewed by more than 350,000 people. “There’s a lot of widely accepted evidence that good corporate governance pays off.” Chris Jones at the Motley Fool tries to convince his readers it is worth looking at governance scores. (Does Good Governance Make Great Stocks?, 7/15/09) Not easy when most of his readers are probably focused on the next quick pick tip. Barack Obama’s plan to give the Federal Reserve extensive powers over all large US financial groups is attacked by a coalition of investors, analysts and ex-regulators who say the Fed’s credibility has been “tarnished” by its role in contributing to the crisis. The Systemic Risk Oversight Regulator, proposed by the investors, would have a full-time staff led by a chairman and four members appointed by the president and confirmed by the Senate, and would be accountable to Congress. (Coalition to attack plan for Fed powers, FT, 7/15/09; see also President’s Financial Regulatory Plan Comes Under Attack, Washington Post, 7/16/09) In theory the Federal Reserve is accountable to Congress. Let’s hope the proposed Systemic Risk Oversight Regulator would be more so. A recently published study by the Shareholder Association for Research and Education (SHARE) and Fund Votes found that while Canadian mutual funds were more likely to oppose management nominees for boards of directors in 2008, the majority of mutual funds continued to vote overwhelmingly in favor of management proposals, and against proxy items proposed by shareowners. Also of note, when it came to the voting patterns of SRI funds sold by diversified fund companies, the report found that proxy voting patterns were the same as in mainstream funds offered by the same companies. (Canadian Mutual Funds Continue to Vote Against Shareowner Proposals, SocialFunds, 7/9/09) Thankfully, most SRI funds now recognize that corporate governance and proxy voting matter. Why would anyone put money in an “SRI fund” that doesn’t recognize that basic fact? Jamie Allen, secretary general of the Asian Corporate Governance Association, said the bulk of corporate governance action occurs outside of Asia because within the region institutional investors have not been supportive. (Corporate governance needs national voice, FinancialStandard, 7/15/09) Agreed, if Asia wants to play a major role in shaping global governance standards, institutional investors need to be involved in organizations like ACGA. The Society of Corporate Secretaries and Governance Professionals is broadcasting a special program from the NASDAQ MarketSite on Wednesday, July 15, 2009. The program will feature the Society’s former Chairman, William Mostyn, who will host a panel discussion highlighting the most compelling themes from this year’s Society National Conference held in San Diego, June 25 – 28, 2009. Webcast link. The Internet Will Drive Corporate Monitoring. Mark Latham wrote a paper by that title about ten years ago before the dot.com bust and now it finally seems to be unfolding. I’ve been raving for several years about Proxy Democracy and the Investor Suffrage Movement. Both are making substantial progress. New entries are Shareowners.org, TransparentDemocracy.org, VoterMedia.org. MoxyVote.compromises to take it to a new level. Right when individual investors have just about stopped voting entirely, new internet platforms are being developed to make sharing and obtaining advice from others easy. Initially, this movement came from grassroots efforts by concerned people who toiled the fields selflessly. Now, others are beginning to recognize that individual investors and beneficial owners must have a role in corporate governance. Who will influence how they vote and how they pressure their funds to vote. Two primary sources in providing advice that may populate the data sets of such platforms are theSocial Investment Forum, the Council of Institutional Investors, and the individual members of these organizations. Individual investors used social networking concepts because they had no alternative. Now, we see another new and interesting development in The Corporate Library’s use of social networking tools to promote and enhance its upcoming conference, The Future of Corporate Reform. In some ways, this upcoming conference comes from the other end of the spectrum, not grassroots but global. The goal of providing solutions “through changes in investment strategy, litigation and public policy to restructure the public corporation and ensure that it delivers on the promise of wealth creation for shareholders and society” is much the same as what drives grassroots efforts. Now we see them beginning to use some of the same internet tools. TheCorporateCouncsel.net and CompensationStandards.com have long been leaders in sponsoring conferences and making lots of deep content available on their web sites to enhance the experience. However, The Corporate Library is the first I know of (I’m sure readers will correct me, if I’m wrong.) to use a social networking site (in this case, Linked in). Registered attendees can begin networking before the conference. News is being posted. Discussions have already started. Will we see subgroups developing? While others will probably be checking with friends on Linkedin to see if they are yachting or riding hot air balloons, I’ll be using it to try to find a roommate at the Hotel del Coronado. Checking in at Shareowners.org on Friday 7/10/09 and I see this social networking community on shareowner issues has already grown to 250 members. That seems like quite a few on a relatively obscure subject in two weeks time. However, it isn’t just the numbers, it’s the quality. A lot of these folks are policy wonks and activist who will have significant influence in the Obama Administration. Take the 250th member, Bob Laux of Redmond Washington. Google him and learn that he’s the Director of External Reporting at Microsoft Corporation. He’s a member of the Accounting Standards Executive Committee (AcSEC), authorized to set accounting standards and liaisons with the Financial Accounting Standards Board (FASB), the Governmental Accounting Standards Board (GASB), the Federal Accounting Standards Advisory Board (FASAB), the Securities and Exchange Commission (SEC), and the International Accounting Standards Board (IASB). You can see his comments to the SEC on “Allowing U.S. Issuers to Prepare Financial Statements in Accordance With International Financial Reporting Standards” and his SSRN paper (with others) on “Acceptance from Foreign Private Issuers of Financial Statements Prepared in Accordance with International Financial Reporting Standards Without Reconciliation to U.S. GAAP.” And, of course, you can find much more on Laux. Going back halfway through the list is Tim Smith, Senior Vice President, Environmental, Social and Governance Group at Walden Asset Management. Prior to joining Walden and Boston Trust, Tim served as Executive Director of the Interfaith Center on Corporate Responsibility (ICCR). Until recently, he served as the Chair of the Social Investment Forum, an industry trade group. Smith is fellow who got me interested in proxy voting. Keep the exercise up and you’ll find an amazing list of who’s who. And in the few minutes it took to write this, there’s another new member. At 251 is Joshua Humphreys of the Center for Social Philanthropy. Humphreys has advised numerous organizations on issues in social and environmental finance, including the Environmental Grantmakers Association, Green Harbor Financial, Proxy Democracy, Rockefeller Philanthropy Advisors, the Social Investment Forum, Sustainable Endowments Institute, and the World Bank Group. All this to say, “sign up.” Act quick and you can be member #252. Consider putting less emphasis on the role of board committees and more on the role of the board, so it is better aware of its collective responsibilities. Consider an independent external appraisal of risk management and internal control systems. Consider limiting the number of directorships board members can accept, increasing their pay, and requiring a specified course of instruction on their duties and obligations. Consider not only an annual review of each member, but reporting results to shareowners. Consider a specified course of instruction. Consider an adequately resourced company secretariat, reporting to the board, not to management. Workplace democracy advocate Rune Kvist Olsen released a paper entitled The DemoCratic Workplace: Empowering People (demos) to Rule (cratos) their own workplace. The paper discusses preliminary steps for designing and transitioning to a democratic workplace and key topics personnel should explore in order to create a shared vision of their desired workplace. Olsen also elaborates on the power dynamics intrinsic to a vertically-structured workplace, and differentiates between leadership and leading-ship and Inner Democracy versus Outer Democracy. At Boardroom Insider, he goes on with more specifics and offers several pages of tightly packed advice, including that “if your board wants to stay informed on who’s saying what about your company, visit (and bookmark)” this: Shareowners.org. I would add, if you want to see how shareowner activists are voting, visit Proxy Democracy. While the proxy access proposals are lengthy, I’m not sure they are really all that complex. Given BRT’s historic opposition to proxy access, I’m concerned their letter mey be more of a delaying tactic than a real need. In Australia, the 2009 WHK Horwath Large Cap and Mid-Cap Corporate Governance reports show a marked increase in the number of listed companies that were totally lacking in corporate governance structures and policies based on their 2008 annual report disclosures. There was a sharp contrast between large caps and mid caps with 5.6% of large caps scoring only one star, whereas 15.6% of mid caps were low ranked. “At the top end our companies would have governance standards that they can be proud of on an international level and would match standards anywhere in the world, but at the bottom end some of our companies are being run like the local tuck shop,” said Associate Professor Jim Psaros of the University of Newcastle. Cornelis A. de Kluyver, an academic and practitioner with global experience, has written A Primer on Corporate Governance published by Business Expert Press. While not nearly as extensive as recent textbooks by Bob Tricker or Monks and Minow, this is a quick read that provides most of the basics for future directors and those who work with them. He very briefly reviews the history of corporations, rise of fiduciary capitalism, recent moves to federalize corporate governance, various conflicts of interest, and provides a thumbnail international sketch. However, his short explanations sometimes over simplify. For example, in reviewing director duties he states, “the primacy of shareholder value maximization wa affirmed in a ruling by the Michigan State Supreme Court in Dodge vs. Ford Motor Company. Articles of incorporation typically don’t say they are organized primarily to profit shareholders but, instead, for anything lawful. Similarly, state corporation codes typically provide their purpose is “to conduct or promote any lawful business or purpose” and many authorize corporate boards to consider other stakeholders. Judges routinely refuse to impose any legal obligation on directors to maximize shareowner wealth. De Kluyver does explore stakeholder theory but concludes shareholder value maximization “will continue to dominate the U.S. approach to corporate law for the foreseeable future,” with the courts giving boards increasing latitude. Elsewhere, he discusses governance reforms and concludes, “There is real danger, however, that the rise in shareholder activism, the new regulatory environment, and related social factors are pushing boards towards micromanagement and meddling.” Many of us wish there had been a lot more “meddling” by boards prior to the current financial crisis, but de Kluyver is writing for board members, not shareowners. In discussing stock options, de Kluyver notes, “Until recently, many U.S. companies were not very diligent in assessing the cost and value of options and treated options as being cost-free.” He says nothing about the Business Roundtable’s campaign to undermine the Financial Accounting Standards Board. An uninformed reader could be left with the impression that CEO’s had no role in this effort to hide costs. Likewise, he says “most of the pressure on boards on the last 25 years has come from shareholders.” Hasn’t more pressure come from CEOs who are there providing direction at every board meeting? Even with recent steps empowering shareowners, CEOs still hold more sway over boards, including who is nominated. In discussing shareowner proposals, de Kluyver says, “One of the most popular shareholder proposals today demands that shareholder be allowed to directly nominate and elected directors rather than work with the slate recommended by the board’s nominating committee.” Popular in what sense? The SEC allowed such proposals for many years until it looked like the proposals would obtain majority votes. Then the SEC, without changing the governing regulations, decided such resolutions violated the rules. That position stood for many years until challenged by AFSCME. When the underground regulations were overturned by the court only about three such proposals were introduced before the SEC, under Cox, banned them through new regulations. Now, under Schapiro, such proposals will again be legal, probably in 2010. To describe “proxy access” proposals in 2009 to be “the most popular shareholder proposals today,” without much explanation, seems misleading. In the book’s epilogue de Kluyver revisits the issue of “proxy access.” However, rather than clarifying the issue he informs readers that the SEC considered proposed rules to allow it, but rejected them. Of course this is true, but de Kluyver gives the impression the issue is dead, whereas everyone following this issue has known for years that “proxy access” would be back on the table under a new administration. It would be important to note that majority voting requirements, the end to “broker voting” and proxy access will require boards to cooperate more closely with shareowners. The book is at its best in borrowing liberally from thought leaders and consensus shaping organizations by providing various lists of best practices: Succession Planning is an Ongoing Process; CEO Selection: Common Board Mistakes; Succession Planning: Best Practices; Red Flags in Management Culture, Strategies, and Practices; 10 Questions About Ethics and Compliance for the Board; Five Questions About Hedging; Enterprise Risk Management: The Board’s New Tool; Executive Compensation: Best Practices, What Defines Best In-Class Boards?,; etc. Regardless of my nitpicking, de Kluyver gets the big picture right. “The tug of war between individual freedom and institutional power is a continuing theme of history. Early on, the focus was on the church; more recently, it was on the civil state. Today, the debate is about making corporate power compatible with the needs of a democratic society.” De Kluyver offers readers information that can help them to become better directors and better corporate citizens. Looking at the ratings given to these companies by RiskMetrics it seems obvious they wouldn’t be in total agreement either. As of 7/1/09 Berkshire Hathaway’s Corporate Governance Quotient was better than 87.5% of all companies and 52.5% of insurance companies; Amazon’s Corporate Governance Quotient is only better than 18.4% of the S&P 500 and 69% of retailing companies; J&J’s Quotient was better than 38% of S&P companies but 95% of pharma, biotech and life sciences companies (a group with very low ratings). We need an education program to help citizens understand this difference. “Investors must care about corporate governance. Speculators, however, do not care, and arguably should not care.” If we turn speculators into investors, we’ll get better corporate governance, better returns and more responsible corporations. Beta versions of TransparentDemocracy.org and VoterMedia.org facilitate civic and proxy voting by brand reputation. Much of the information listed on both sites is most directly related to past elections. However, both systems allow users to input information for upcoming contests. TransparentDemocracy.org (partially funded by SEIU) publishes sample ballots and corporate proxies, encouraging individuals and groups to publish their recommendations so that voters and shareowners can easily see how people and organizations they trust recommend they vote. Currently featured communities range from various state elections to corporate proxies from Abbott Labs to Yahoo! to elections at Stanford University. In theory, you be able to view how a trusted source is voting and will be able to use thier choices to influence your own. VoterMedia.org allows you to vote on media that cover elections. It’s designed to have a page of voter-ranked media (blogs and others) for each voter community in the world. You can add new communities and new media to this voting system. Currently featured communities are Vancouver, British Columbia. Canada, Iran, UBC AMS, U Calgary Students, Fair Voting BC, CBC, Microsoft, Chattanooga, and CalPERS. In theory, your vote will reward better information providers with a higher rating and more traffic, leading to a virtuous circle of better reporting. Both sites need a little work and welcome feedback from beta testers. Both are ambitious and promising. I’m very fortunate to collect a pension from CalPERS and to have input into their policies, both directly as an individual and indirectly as a member of my CSEA Retirees, Inc., which is loosely affiliated withSEIU. CalPERS has long been a leader in corporate governance but that hasn’t stopped me from suggesting additional measures they could take to improve both corporate governance and their own internal governance. I’m submitting two resolutions at CSEA’s General Council this fall and thought I’d post them here, in case readers want to consider introducing similar resolutions to their own unions. Resolution 1 (download in Word) seeks to increase the availability of information on CalPERS proxy votes and encourage CalPERS involvement in organizations like Investor Suffrage Movement & Proxy Democracy, Shareowners.org and TransparentDemocracy. Resolution 2 (download in Word) seeks to increase the availability of information during internal elections at CalPERS so that members have a better understanding of where their own board candidates stand on the issues. If you know of governance resolutions being introduced at other unions, please let me know so that I can share the information. For tips on how to organize, see Why David Sometimes Wins: Leadership, Organization, and Strategy in the California Farm Worker Movementby Marhall Ganz, architect of the Obama Field Program; lead organizer of the United Farm Workers for 12 years. Join him in the Los Angeles July 16: 6-9pm or San Francisco Bay Area July 19: 6:00-9:00pm. Here is your opportunity to apply for the following Institutional Awards of the year 2009. The completed applications with all enclosures should reach Director General, GPA Secretariat, IOD House, M- 64 G K Part-II, New Delhi- 48 by 30th July 2009 or through email at [email protected]. The Training Award identifies excellence in training practices and shows how effective training improves business and individual performance. All corporate training departments / institutions industries and independent training establishments are eligible to apply. The Innovation Award identifies innovations in the form of new ideas, new products, patents, inventions, services, processes, new financial techniques or business structures at your organization. This Award has been instituted to encourage greater commitment among employees to achieve competitive edge. Any organization, however large, medium or small, whether in manufacturing, trading, service or profession or in govt, public or private, research organization, NGOs and any sector is eligible to apply. The Corporate Governance Award, which looks for transparency and excellence in Corporate Governance, is not merely for meeting legal and financial requirements, but for bringing out the role of non executive directors and social & environmental commitments. All listed companies in India and abroad, whether public or private in any sector are eligible to apply. This year’s above Golden Peacock Awards will be presented in Mayfair London during the 10th International Conference on Corporate Governance being held on 8- 9 October 2009. Details atwcfcg.net. The application form and guidelines can be downloaded directly from goldenpeacockawards.com. Say on Pay for TARP Companies. The Commission voted 5-0 to release a proposal implementing a statutory requirement that TARP bailout recipients provide an advisory shareowner vote on executive compensation. potential conflicts of interest involving company compensation consultants. several amendments to the proxy solicitation process. Beth Young noted Broadridge’s estimate that broker votes accounted for 16.5% of votes at shareholder meetings in 2008. (It’s About Time: SEC Votes to Change NYSE Broker Vote Rule, The Corporate Library, 7/2/09) Loss of those votes will certainly make it more difficult for management to win without real shareowner approval. Great summary of the proceeding by Ted Allen of RiskMetrics at A Momentous Day for Investors, 7/2/09. I analyzed last Navigant study back in July 2008 under the heading Chamber Attacks Resolution Process. bs I said then, businesses should ask their local and state chambers, which may be members of the US Chamber of Commerce, to seek new leadership at the federal level. Sure, shareowner resolutions and annual meetings are a bit of a pain, but they keep us in touch with what is coming. For example, ICCR filed resolutions on subprime loans for years. Too bad banks didn’t listen. The resolution process is an early warning system that allows us to gauge the popularity of a given issue. Often we can avoid regulations by working out less burdensome voluntary measures. Even when businesses fully adopt resolutions, the costs can be substantially less than complying with mandatory rules. 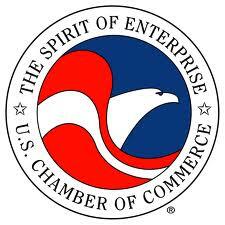 Tell your local chamber that the U.S. Chamber should spend its time and money on more important efforts. For example, they could push Congress to legislate higher margin requirements for speculators. That might lower the cost of oil. They could push for universal health insurance to put an end to our competitive disadvantage due to rising health care costs. They could seriously address global climate change. Failure to resolve that issue will cost trillions of dollars and millions of lives. Fighting wildfires now takes nearly half of the U.S. Forest Service budget. That’s up from just 13% in 1991. This morning, the SEC held a hearing on proxy access. By a three to two vote, Commissioners voted for proxy access. Democracy in corporate governance will dramatically improve with our right to nominate and elect directors, even if limited to 25% of the board. Directors may actually begin to feel dependent on the will of shareowners. While waiting to see the actual language of the rule proposal, please take a few minutes to read and submit comments on a rulemaking petition that a group of ten filed with the SEC on Friday, May 15th, to amend Rule 14a-4(b)(1). The petition seeks to correct a problem brought to our attention by John Chevedden. See petition File 4-583 http://www.sec.gov/rules/petitions.shtml. Send comments to [email protected] with File 4-583 in the subject line. The problem is that when retail shareowners vote but leave items on their proxy blank, those items are routinely voted by their bank or broker as the subject company’s soliciting committee recommends. Current SEC rules grant them discretion to do so. As shareowners who believe in democracy, we have filed suggested amendments to take away that discretionary authority to change blank votes, or non-votes, as they might be termed. We believe that when voting fields are left blank on the proxy by the shareowner, they should be counted as abstentions. This problem is not the same as “broker voting,” which has already been repealed on “non-routine” matters and, we hope, will soon be repealed for so-called “routine” matters, such as the election of directors. For example, even though “broker voting” has been repealed for shareowner resolutions, if a shareowner votes one item on their proxy and leaves shareowner resolutions blank, unvoted, those blank votes are routinely changed to be voted as recommended by the company’s soliciting committee. Just as broker votes should be eliminated so that votes counted reflect the true sentiment of shareowners, the practice of converting blank votes to votes for management should also end. In our petition, we also highlight a secondary concern. When shareowners utilizing the ProxyVoteplatform of Broadridge vote at least one item and leave others blank, the subsequent screen warns them that their blank votes well be voted as recommended by the soliciting committee. This provides an opportunity to the shareowner to change their blank vote before final submission, if they don’t want it to be voted as recommended. 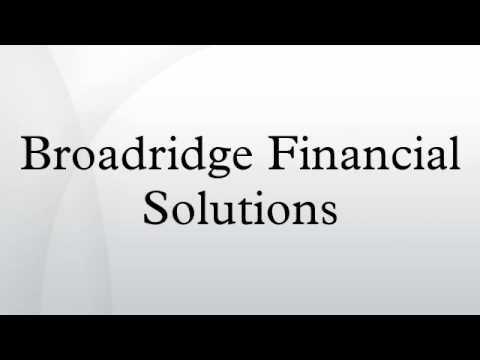 Broadridge says that shareowners using ProxyVote are communicating “voting instructions” to their bank/broker. They are not voting a proxy. Since Rule 14a-4(b)(1) pertains to “forms of proxy,” not the “voting instruction form,” there is no violation. However, subdivision (1) refers to the “person solicited” and the need to afford them opportunity to specify their choices. The person being solicited is the beneficial shareowner. Therefore, unless the subdivision applies both to a voting instruction and a proxy, the requirements to indicate with bold-face type how each field left blank will be voted loses meaning. However the SEC interprets the current rule, we hope they move forward with a rulemaking to remove discretion to change blank votes and to require blank votes to be counted as abstentions. While the petition is being considered for action, we hope Broadridge will modify its system to clearly indicate in red bold-face type how votes will be cast for each item where a blank vote will be changed. At the heart of any discussion about proxy voting is the humble shareholder ballot. In its simplest interpretation, the ballot is arguably the principal method by which a company’s shareholders can, while remaining investors in the company, affect its governance, communicate preferences and signal confidence or lack of confidence in its management and oversight. The ballot is the shareholder’s voice at the boardroom table. Shareholders can elect directors (and, in several jurisdictions, have the right to remove them), register approval of transactions, supply advisory opinions and (increasingly) authorize executive pay packages, all through the medium of the ballot. It is one of the most basic and important tools in the shareholder’s toolbox… Safeguarding the intention of a voting instruction is of paramount importance to system integrity. Rarely, however, do opponents of proxy access cite studies to support their agruments, which are more likely to be grounded in their own selfish interest to remain entrenched than in any true concern for shareowners or the US ecomony. Unions can’t hijack corporate elections if it takes a majority vote to elect directors, as it now does at most of the companies with CEOs in the BRT. A recent study, Effectiveness of Hybrid Boards by Chris Cernich, Scott Fenn, Michael Anderson and Shirley Westcott, prepared by Proxy Governance under contract with the Investor Responsibility Research Center, looked at the effectiveness of 120 “hybrid” boards formed when shareowner activists were able to get a short slate elected and found total returns at such companies were over 19 percent — 16.6 percentage points better than peers. Total share price performance through the three-year anniversary of the hybrid boards averaged 21.5 percent — almost 18% percentage points more than their peers. More than half of the excess return occurs within three months after an activist announces their intention to battle for board seats. Investors bid up its shares in hopes that a hybrid board will result in positive changes. Not suprisingly, performance was better where dissidents held a greater proportion of shares. They have both a better chance to get elected and more incentive to monitor. However, boards that seated a sole dissident moderately outperformed, whereas companies with three new directors significantly underperformed. Perphaps more positions being contested led to more resources being drained from the company and a greater distraction of management. Companies whose hybrid boards were created through contest settlements averaged a sale premium of 29.6%, more than double the 13.5% average premium for companies whose hybrid boards were created by a proxy contest which went to a shareholder vote. Full blown proxy contests, like wars, can be expensive for both sides. Proxy access appears likely to bring positive changes at less cost, like the gradual transitions of democratic elections in government. Expect to see more activist investors once proxy access becomes a reality. Like classic value investors, these firms rely on fundamental analysis showing that a company’s inherent value is greater than its trading price. Unlike most, however, they don’t wait for the market to recognize the value. They work for changes to close the gap. When they do get elected, they frequently bring much greater resources and experience to boards than most directors. Expect to see more funds like Steel Partners, Ichan Partners, Ramius Capital Group, Barington Capital Group, Breeden Capital Management, Relational Investors, Riley Investment Management, Third Point, Costa Brava Partnership, MMI Investments, Oliver Press Partners, and Lawndale Capital Management. I’ve updated our links page for such groups. If you know of others, please let me know. Will the Chamber be Respected in the Morning? The U.S. Chamber of Commerce is the world’s largest business federation representing 3 million businesses of all sizes, sectors, and regions, as well as state and local chambers and industry associations. More than 96% of U.S. Chamber members are small businesses with 100 employees or fewer. Today, they are challenging the SEC’s power to grant investors equal access to the proxy and supporting the efforts of convicted criminals. If you are a member, you might consider if the Chamber reflects your values. A December 2008 public opinion survey conducted by Harris Interactive found that Americans rank the U.S. Chamber of Commerce among the top five best-known and respected organizations in Washington. The Chamber consistently leads the pack on lobbying expenditures. Will these activities help the Chamber increase its reputation with the public? I doubt it. The Chamber’s avowed mission is "to advance human progress through an economic, political and social system based on individual freedom, incentive, initiative, opportunity, and responsibility." From recent news reports, it looks like the Chamber may be instead fighting for the freedom of entrenched boards to maintain their positions and of CEOs to take the opportunity to initiate fraudulent short-term trading. Responsibility appears an outmoded concept at the Chamber, perhaps better left to taxpayers. Thanks to Lynn E. Turner, a senior advisor and managing director in the forensic accounting practice at LECG, for bringing three articles to my attention. "Despite all the damage that has been done to American consumers, investors and taxpayers as a result of the current subprime and economic crisis, the following articles seem to indicate, in my opinion, the Chamber of Commerce is not on their side," says Turner. Bloomberg reports, U.S. Business Lobby Challenges SEC Power to Grant Proxy Access (4/29), "the U.S. Chamber of Commerce wrote SEC Chairman Mary Schapiro yesterday, saying the states have responsibility for director elections and shareholder rights. The SEC’s federal powers are limited to proxy disclosure rules, the chamber said." "No compelling reason exists to overturn the long-standing state law role in controlling the substantive rules regarding director election," wrote Richard Murray, chairman of the Chamber’s Center for Capital Markets Competitiveness. This is a right investors have been fighting for since the inception of the SEC. How can directors be considered shareowner representatives when we are denied an efficient mechanism to ensure entrenched board members can be replaced with directors of our own choosing? Most corporate "elections" are more similar to elections in North Korea than to anything most US citizens are familiar with. Bloomberg reports the Chamber is in discussions with Gibson, Dunn & Crutcher LLP, the same firm that successfully challenged the SEC rule that required independent chairs at mutual funds. Any challenge to proxy access is unlikely to win, especially with Congress working on legislation to "confirm the SEC’s authority to grant shareholders access to the corporate proxy." Investment News reports, Chamber of Commerce asks court to reverse securities decision (4/24/09). The Chamber "urged the 1st U.S. Circuit Court of Appeals to reject the ruling handed up in December by a three-judge panel in Securities and Exchange Commission v. James Tambone and Robert Hussey and rehear the case." Tambone and Hussey are former executives of a distributor for about 140 mutual funds in the Columbia Funds complex. "They were charged with fraud by the SEC in 2005 for participating in a scheme to allow preferred customers to engage in frequent short-term trading, despite fund disclosures claiming such trades were not permitted." The Denver Post reports, U.S. Chamber of Commerce backs Nacchio (4/28/09). "Former Qwest chief executive Joe Nacchio, serving a six-year federal prison term for illegal insider trading, has a new ally in his appeal: the U.S. Chamber of Commerce." "Nacchio was convicted in 2007 of selling $52 million in Qwest stock in early 2001 based on private warnings about the company’s revenue projections. In one instance, former Qwest chief financial officer Robin Szeliga cautioned Nacchio that the company might miss revenue targets for 2001 by $900 million, or 4.2 percent." Nacchio argued the warnings were not "material." "The chamber agrees: ‘The notion that doubts about revenue projections can be material as a matter of law — without a rigorous threshold establishing the certainty of such information — is fundamentally misguided.’"
Perhaps continued membership in the Chamber is really what is misguided or continuation of current leadership at the Chamber. Will Americans, who don’t seem thrilled with entrenched or convicted CEOs, continue to view the Chamber as one of the "top five best-known and respected organizations in Washington." If they do, maybe that says more about other Washington-based organizations than it does about the Chamber. Watch out for swinging pitchforks.